Adolf Hitler used various military and civilian units to consolidate his hold over occupied Europe, but perhaps no part of the Nazi regime was more feared than the secret police, the Gestapo. 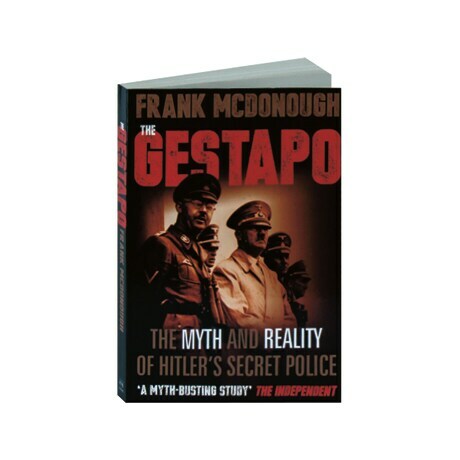 Making use of previously unpublished records—and including eight pages of black and white photographs—Frank McDonough details how the Gestapo was formed; the methods it used to collude with the general public, making ordinary German citizens complicit in the apprehension of their friends, colleagues, and neighbors; and how these brutal enforcers fared in their postwar trials. McDonough also recounts fascinating stories of people who dared to oppose this all-powerful apparatus of Nazi rule.